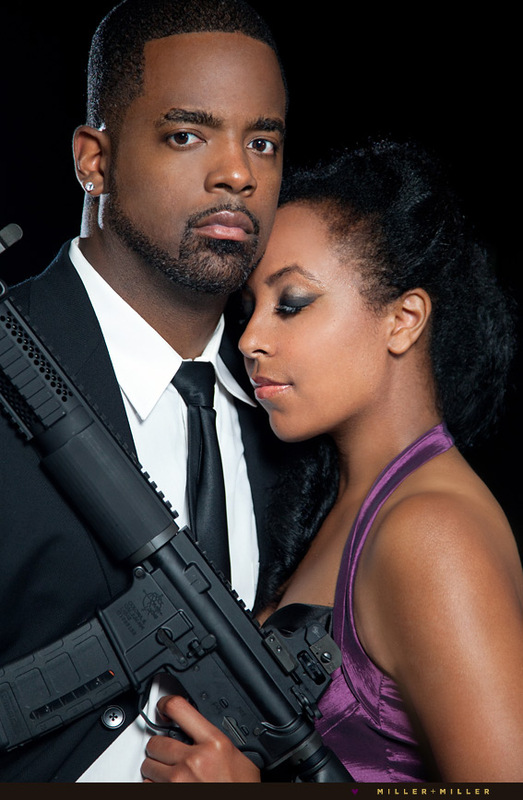 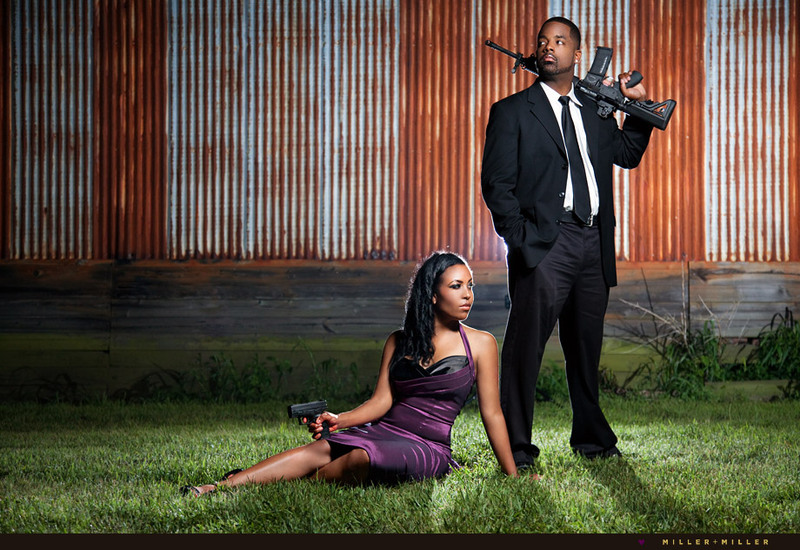 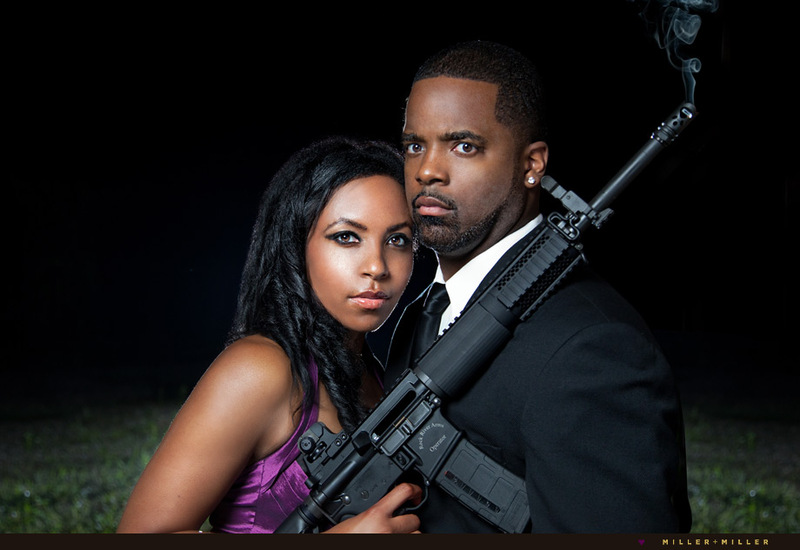 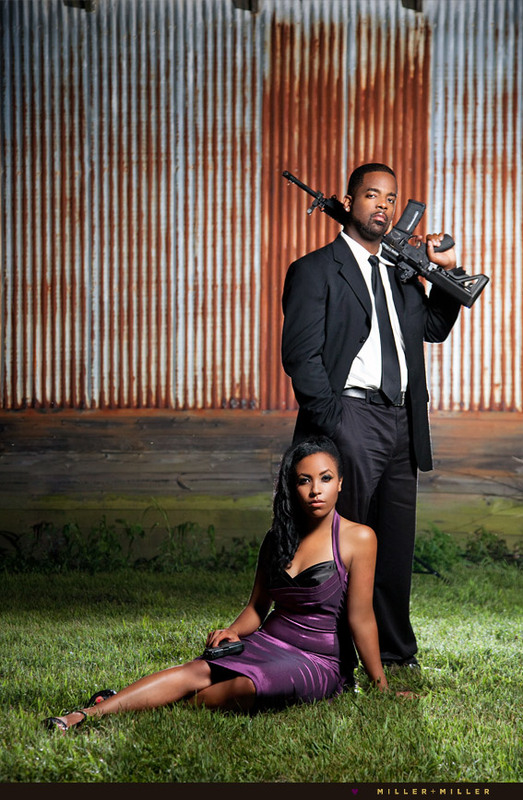 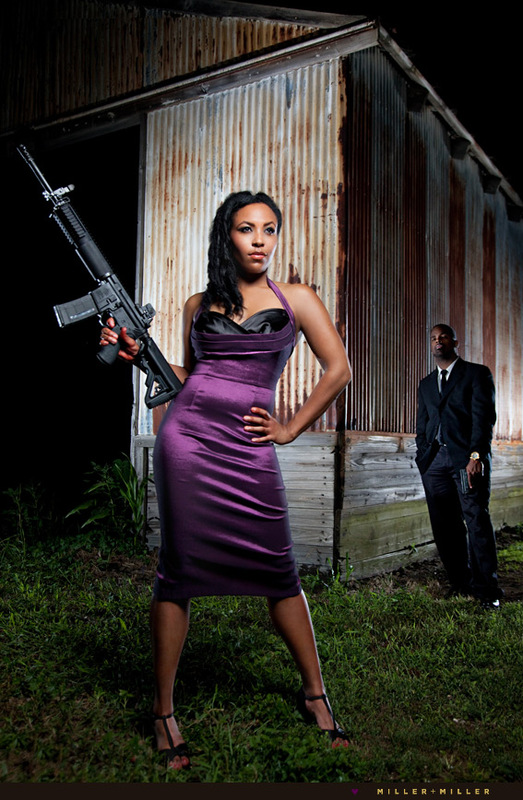 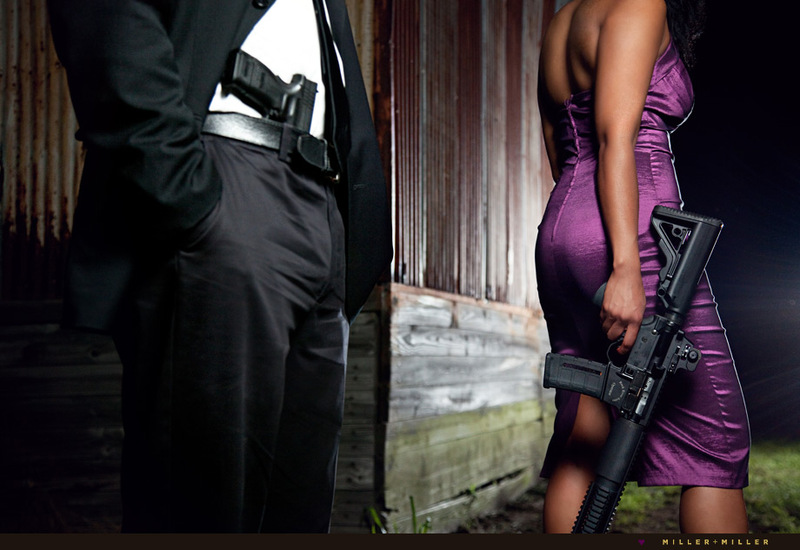 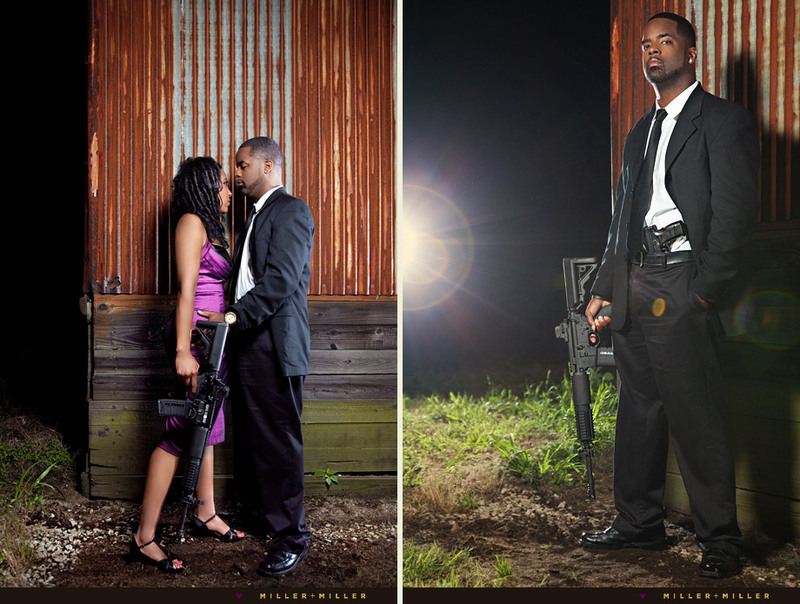 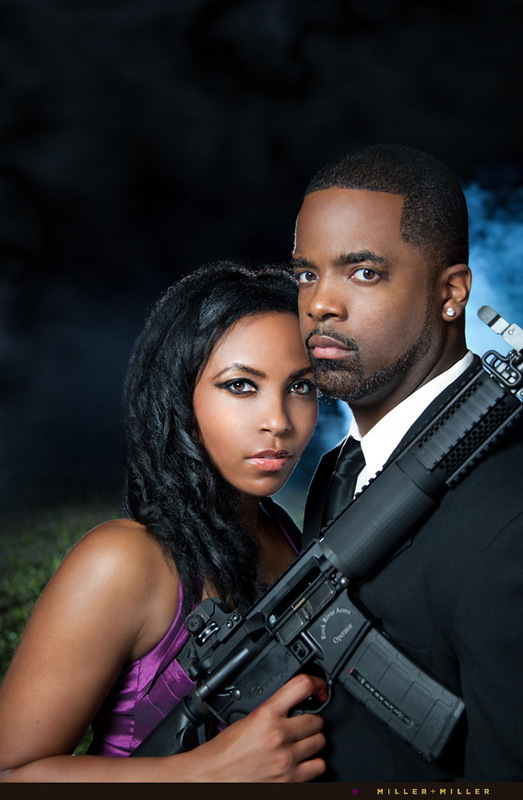 Bonus Photos Jeremi + Lianne’s Engagement Photography with Guns! 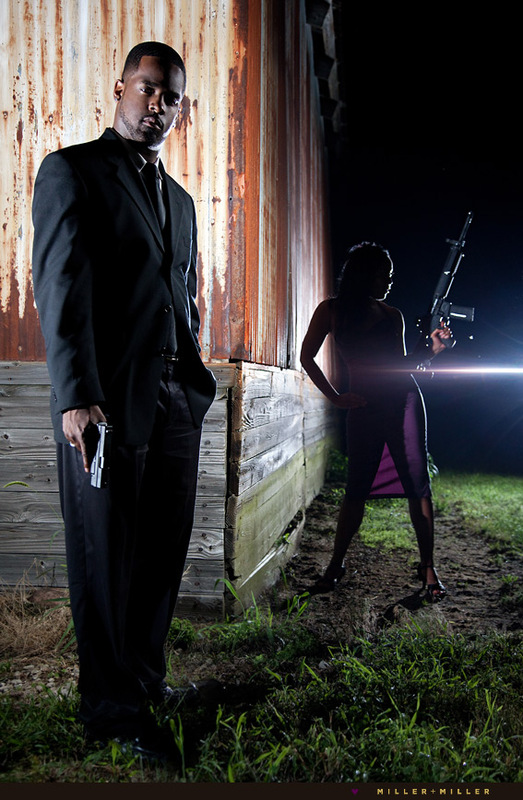 Don’t miss our first blog post! 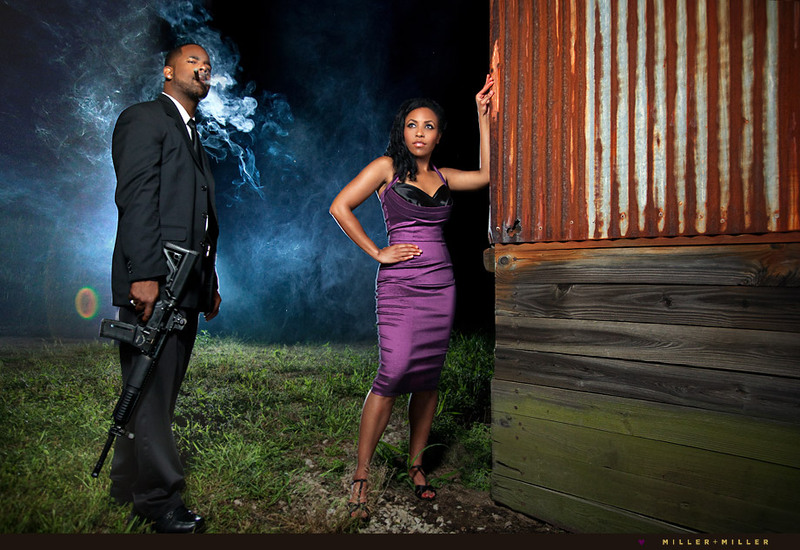 See photos from the J+L’s Halloween themed engagement photography session which included more edgy photo props and a trash-the-dress theme.